Legendary Rhythm and Blues singer Antoine Domino Jr. has died today. He was well known for songs such as “Ain’t That A Shame”, “Blueberry Hill”, “I’m Walkin’ “Blue Monday” and many more. 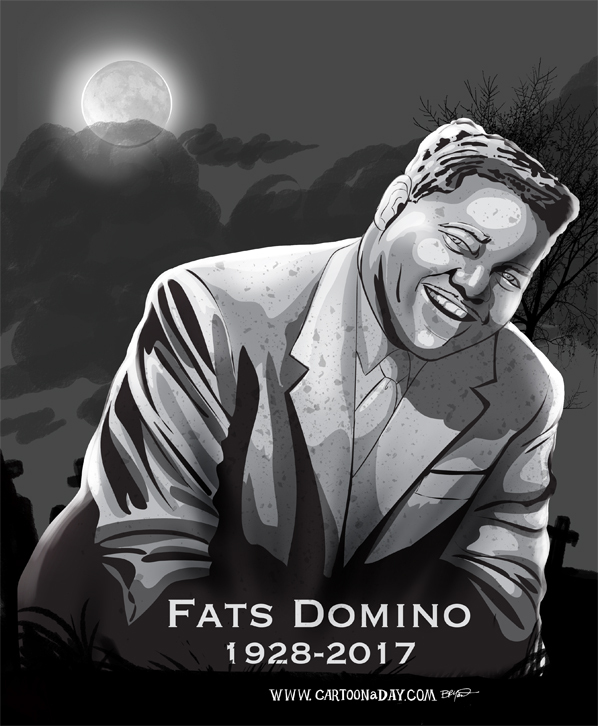 I honor him as with many celebrities with a custom headstone.